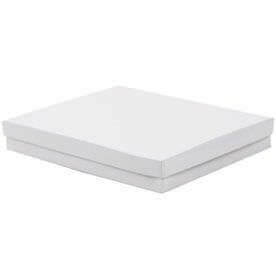 White will never go out of style and will always compliment other colors. 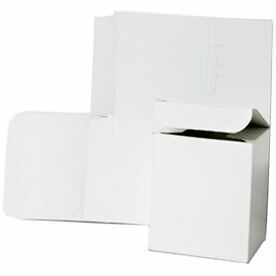 So when you want your gift to perfectly match your gift box, go with our White Gift Boxes! 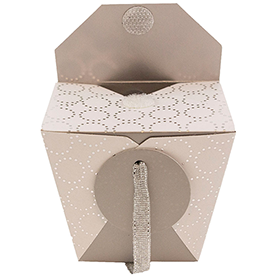 Go for a loud statement and attach a hot pink label to the box, get a classy style by attaching a black bow, or a shiny look with the addition of a gold gift bow any accessory will go perfectly with these white boxes! 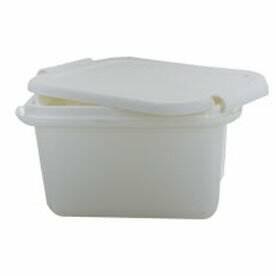 And with our assortment of different categories to choose from (from different sizes to different lid types to different materials) you'll be able to fit one that works for you. 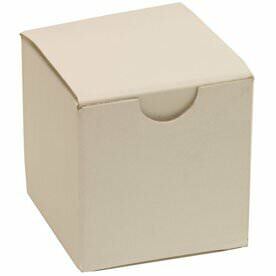 Want the perfect storage container? 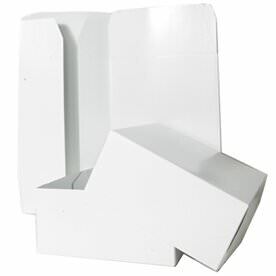 Try our White Plastic Storage Boxes. 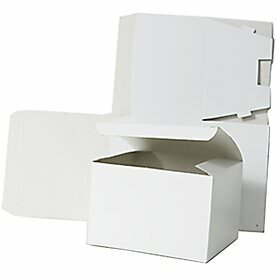 They will keep any item secure all the while matching with any home or office design. 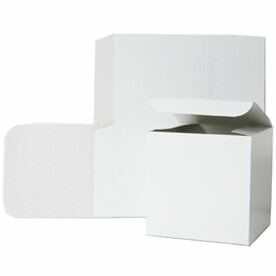 Our Heavy Duty White Hat Boxes come with a beautiful ribbon, unique circular shape, and tough material for the perfect protection. 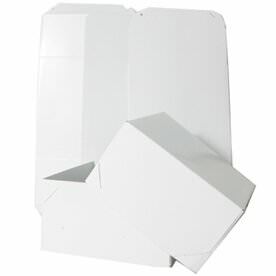 Get super unique with our White Paper Chinese Containers. 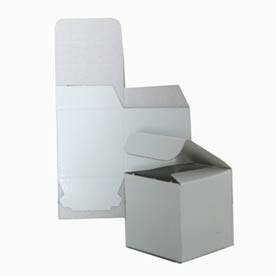 With a Silver Design, your party favors will certainly stand out. 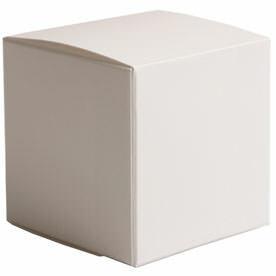 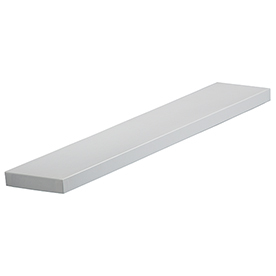 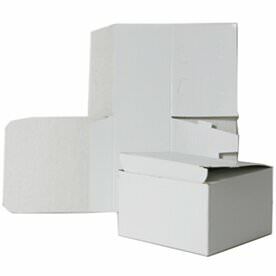 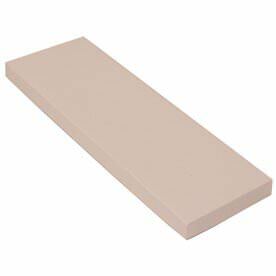 For an easy fold up box (that can be stored flat when not in use), try our White Open Lid Boxes. 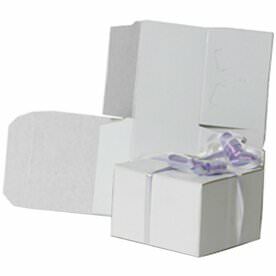 Available in a wide variety of sizes to perfectly fit your gift. 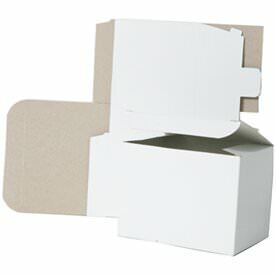 Need something other than paper or plastic? 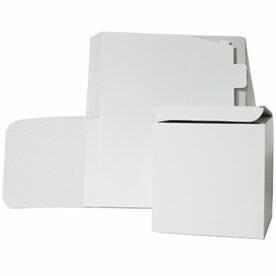 Try our White Metallic Tins, great for storing cookies and other goodies during the holiday season. 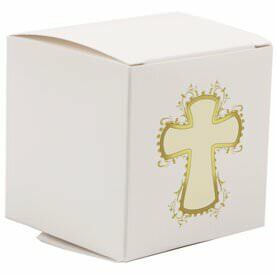 Any occasion, any time of year, and any present will get a bright upgrade if you choose our White Gift Boxes! 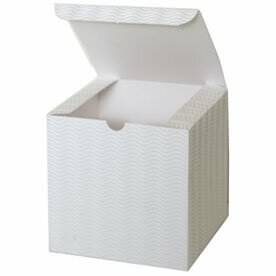 So start shopping white today.